Get some front row seats to our New York Fashion Week show! And by front seat, I mean in front of your computer. You are invited to watch a live webcast of our show from Bryant Park in New York. 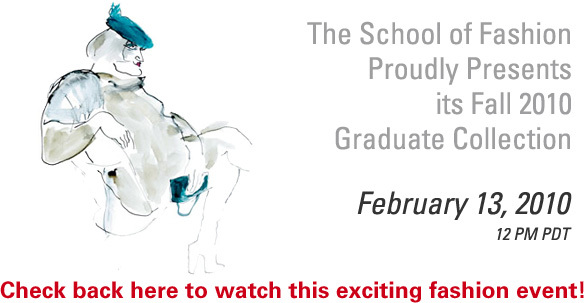 All you have to do is visit www.academyart.edu/fashion10ny.html on Saturday Feb. 13 at Noon (Pacific Standard Time) to watch the collections of our MFA designers walk down the runway. 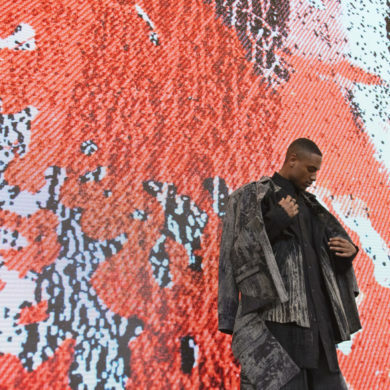 Click here for more info about our designers and Mercedes-Benz Fashion Week. Previous Are you ready to be critiqued by Abercrombie & Fitch?